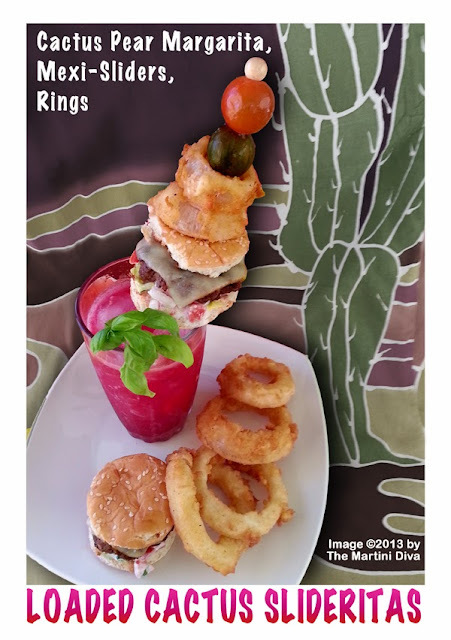 LOADED CACTUS SLIDERITAS - Cactus Pear Margarita & Goodies! Loaded Cocktails (boozy drinks garnished with towers of happy hour snacks) are all the rage lately. I'm just fine with that because, ya know, Booze AND Food, how can you beat that? I like the whole concept and have even done one or two myself, though I haven't attempted one quite as loaded as some....until now. 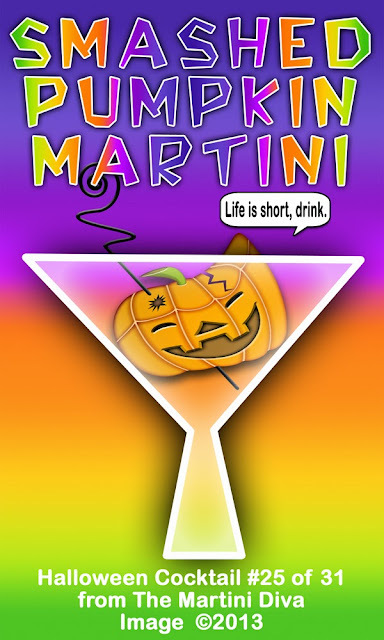 It's all of happy hour piled into and onto one glass! Muddle the basil, agave syrup and lime juice in the bottom of a cocktail shaker. 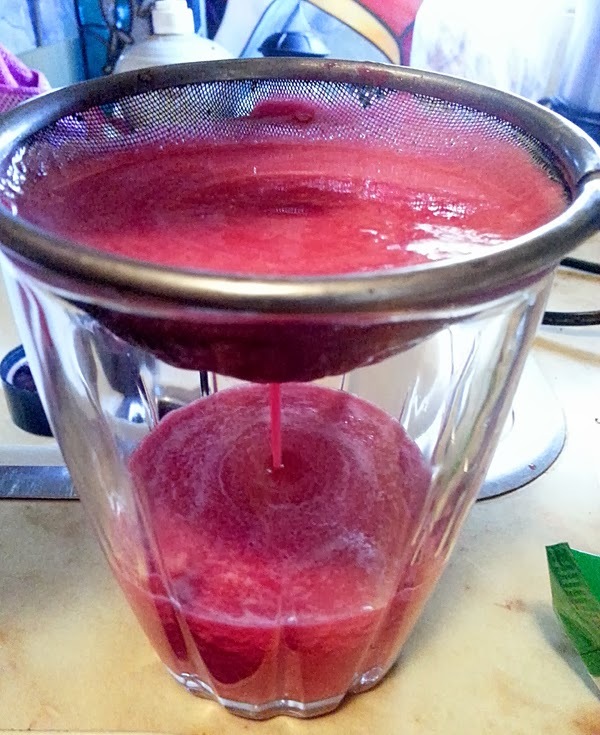 Fill the shaker with ice and add the tequila, Cointreau, cactus pear puree, salt and hot sauce, then shake until well chilled. Pour into a tall glass filled with ice cubes, toss in the slice of lime and garnish with the stalk of basil and your Loaded Mexi Slider cocktail stick. Mini Heirloom Tomatoes, Waffle Fries, Tater Tots, Onion Rings, Jalapeno Poppers - the only limit is your imagination and stuff that will fit on a stick! Grill your Chili Sirloin burgers and the hatch chilies, top with a slice of grilled hatch chile and top with jack cheese, allow cheese to get melted. 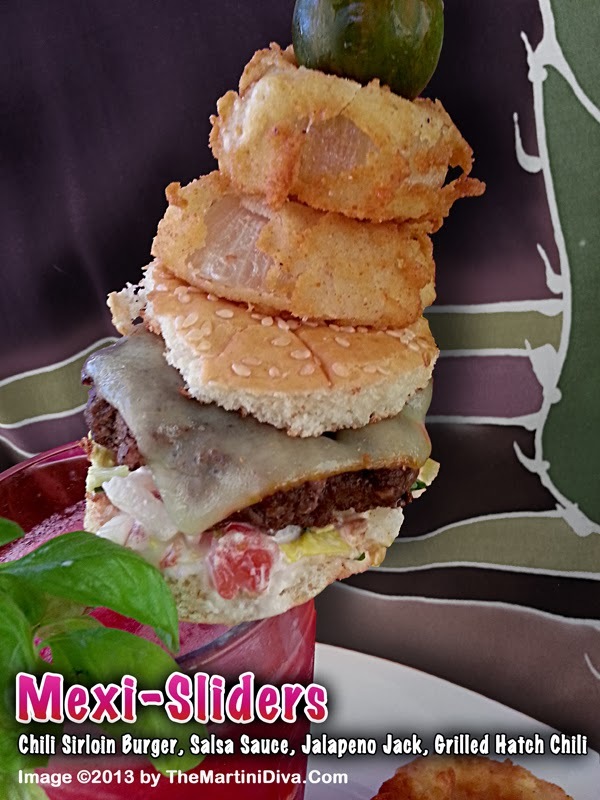 Build your sliders! Spoon the Salsa Sauce onto the bottom of the bun, slide on your chile and cheese topped slider, add bun top. Carefully poke them onto a sturdy bamboo barbecue skewer, slide on your accessories and slide into your Cactus Margarita! Combine the spices with the ground sirloin and form into slider patties. Grill to Medium-Well on a well oiled, cast iron grill pan or outdoor grill. Combine all ingredients, chill until needed. P.S. 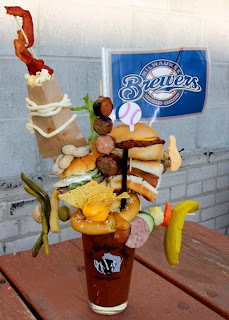 Before you start calling ME crazy, check out this loaded Bloody! 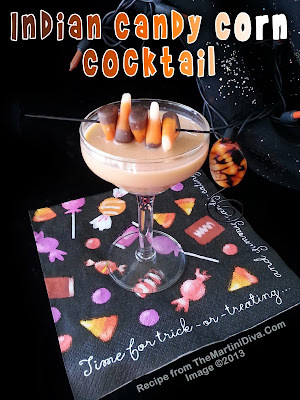 Last year I did Candy Corn Vodka for Halloween and had some fun with my Sparkling Candy Corn Martini. But, to be honest, I don't like regular candy corn as much as I like Indian Corn, the chocolate version! So this year I decided it was time to jam some of those puppies into some vodka for a chocolate flavored candy corn liqueur! Yeah, much better - I mean it's got chocolate! Add the Indian Corn to your infusion bottle. Let infuse in the fridge until the Indian Corn is dissolved - about a day or two at most. Shake the bottle every time you open the fridge. When you have achieved the depth of flavor you want strain it all through a large metal strainer into the spouted measuring cup to remove the larger chunks. Strain again through a triple cheesecloth lined strainer to remove smaller corn debris. 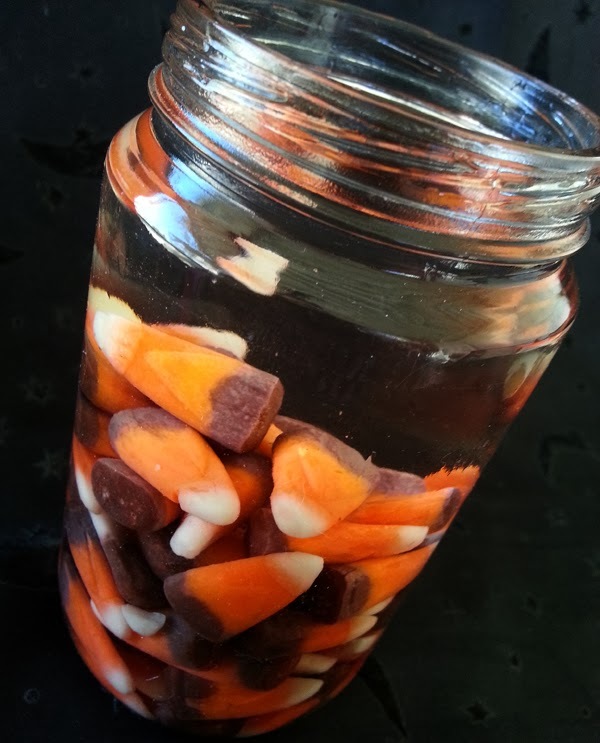 Your finished Indian Candy Corn Vodka Liqueur will have a dark chocolate color and a thin syrup consistency. Add the Indian Corn Vodka, half & half and the chocolate bitters to a cocktail shaker filled with ice, shake until ice cold, strain into a small aperitif glass, garnish with the Indian Corn and enjoy!